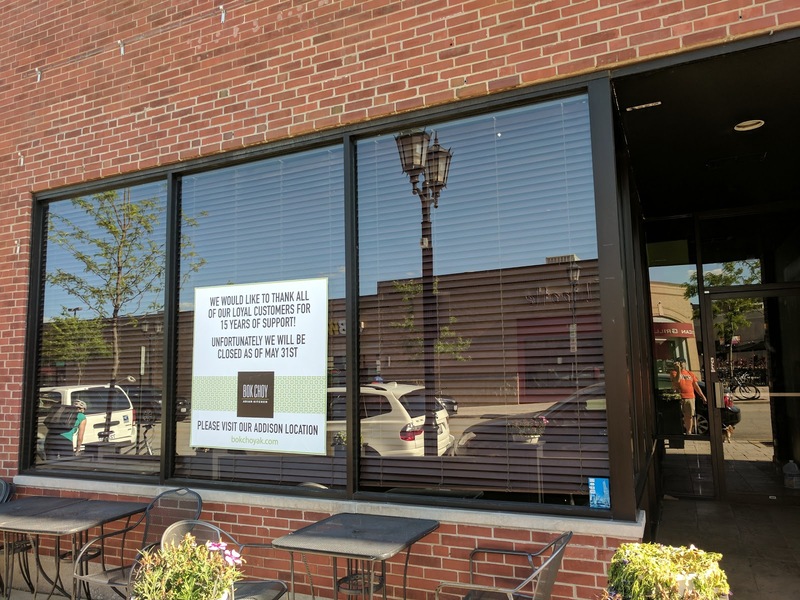 What was Wok 'N Fire just six months ago is now an empty restaurant as Bok Choy has announced their closing in the Elmhurst City Centre. The sign thanks customers for 15 years of support and asks them to visit the Addison location. We only visited Wok n' Fire once during our 10 years in town and didn't make it into Bok Choy, so this is hardly a loss for the dining scene for our family, but it is a shame to see another place go in the City Centre. New places have come (Red Arrow Tap Room) and are on their way (Beerheads) but we'll just have to add this to the long list of "So Long..." posts here on the blog about vacancies in the Elmhurst City Centre.